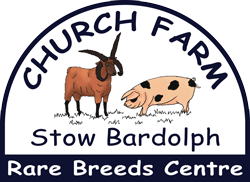 Stow Estate Trust, Home Farm Office, Stow Bardolph, King’s Lynn, Norfolk, PE34 3HT or by email at: enquiries@churchfarmstowbardolph.co.uk. The personal information collected from submissions via the enquiry form are not sold, or disclosed to any third parties. You will not receive any mailings you did not request. The information collected through our enquiry form will only be used for the reasons detailed along side the form. The submissions through our enquiry form will be stored by Wufoo. You can remove yourself from our list at any time by emailing us at enquiries@churchfarmstowbardolph.co.uk or calling us on 01366 382162.